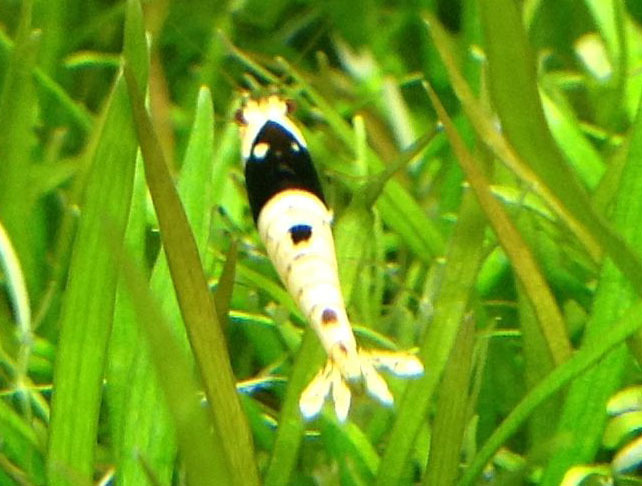 I couldn’t resist on a great deal 🙂 I found someone on CL selling SS (no-entry band) CRS at $40 for 12. 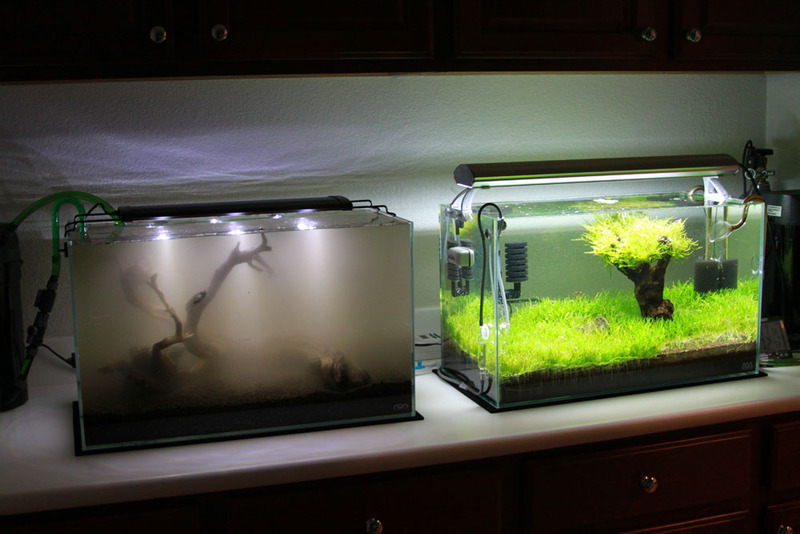 The person had a very interesting setup: 55gal tank, no substrate, tap water using PH down, 4 large sponge filter, plants and only CRS. 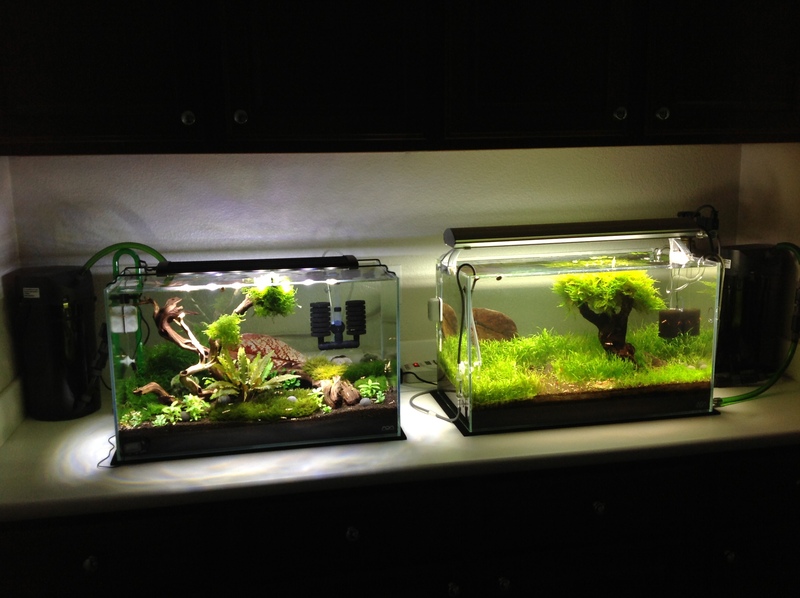 I measure the water perimeters when I got home and they were: TDS 296, GH 7, KH 2, PH 7. 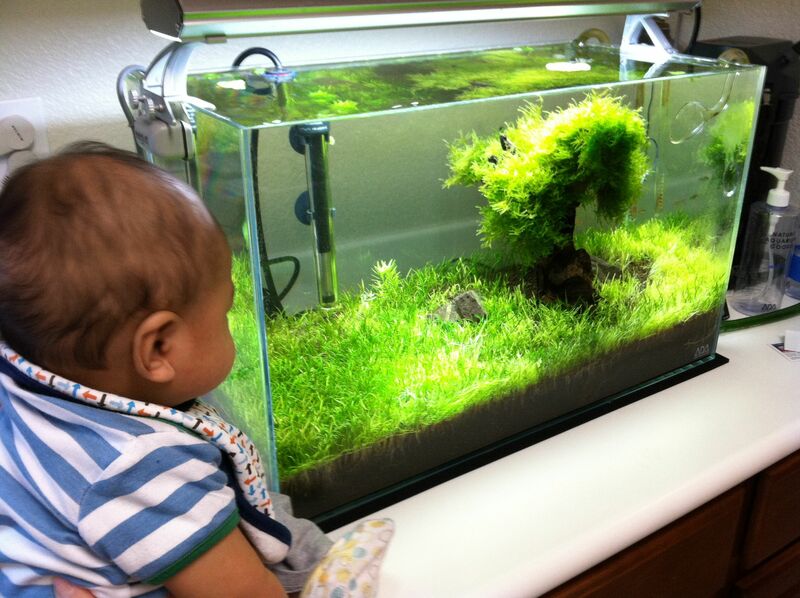 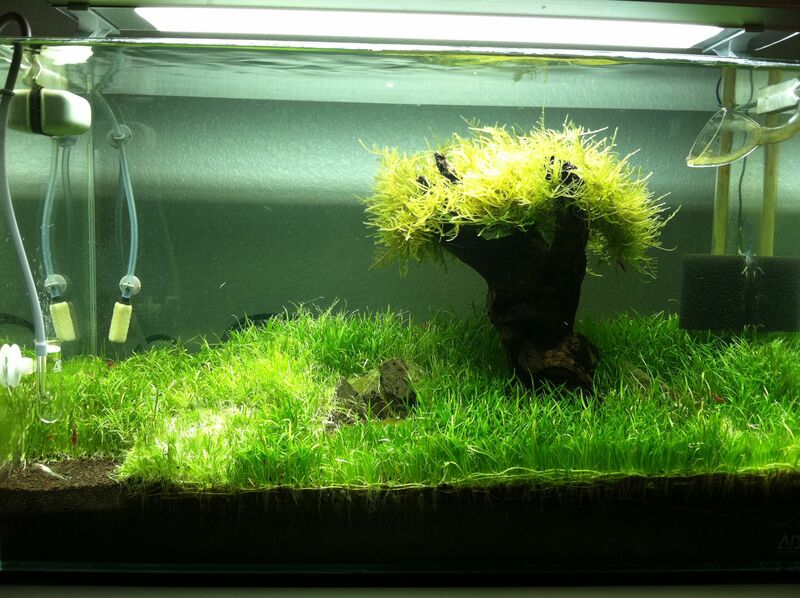 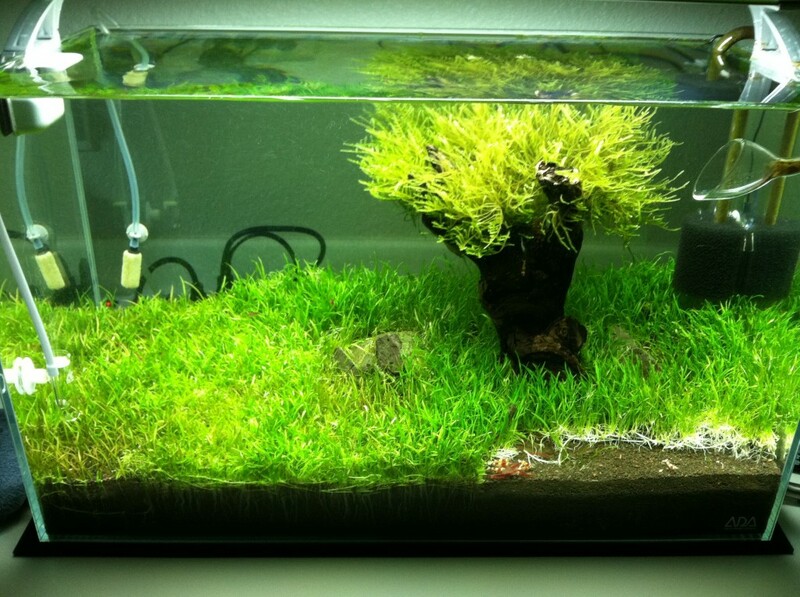 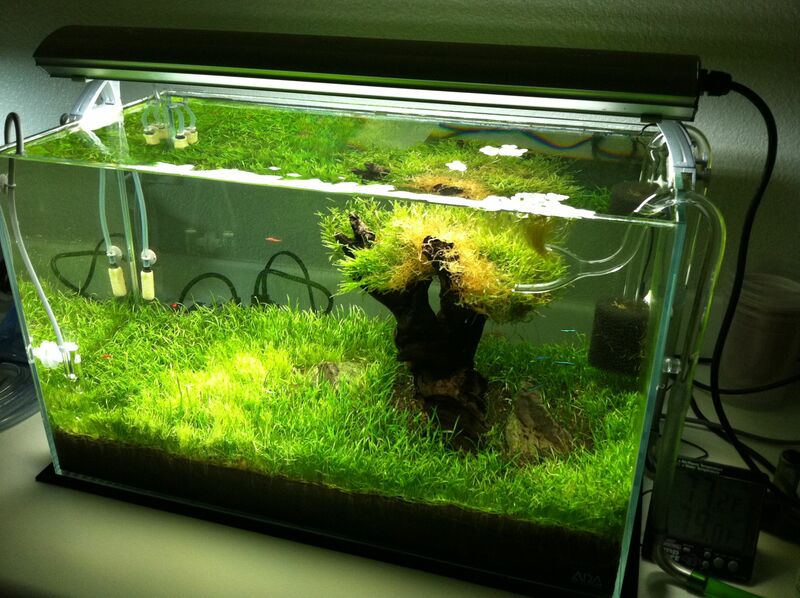 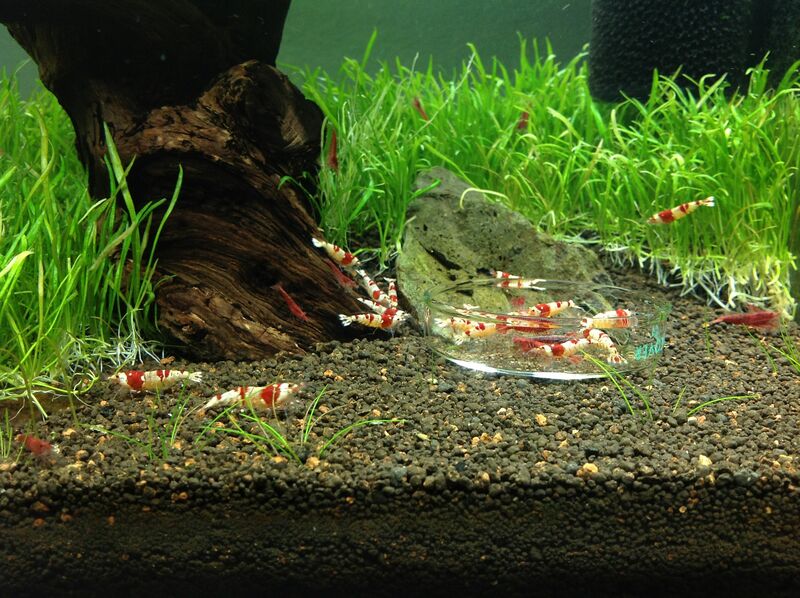 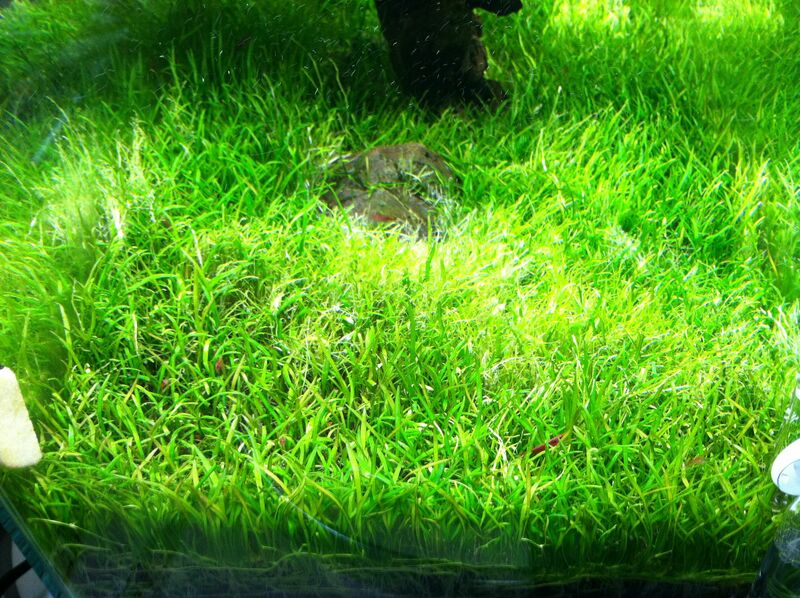 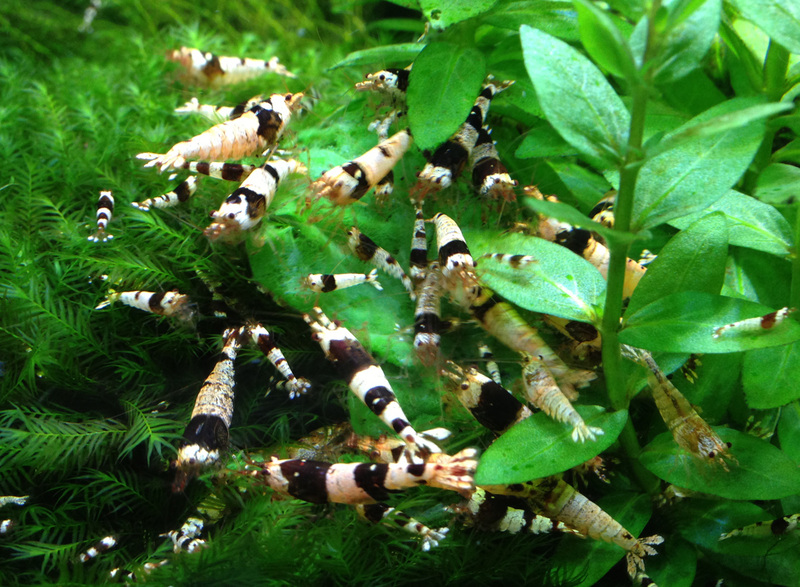 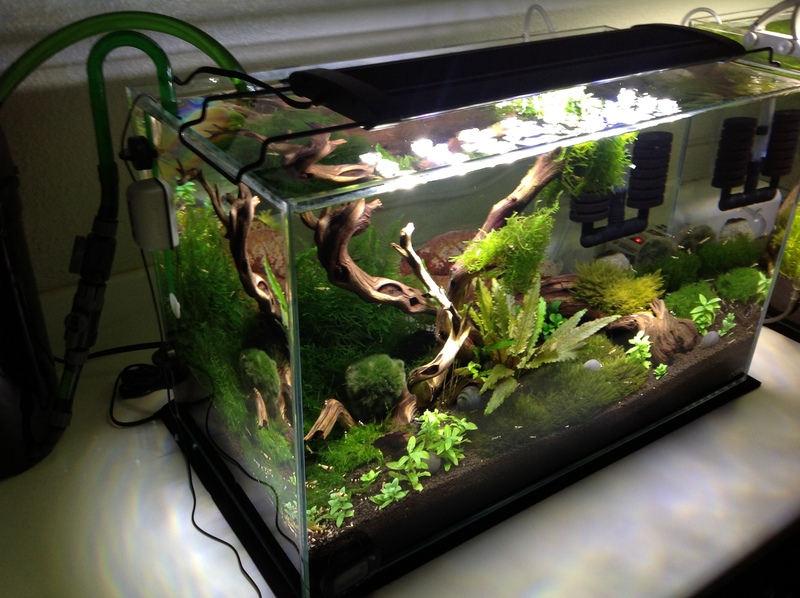 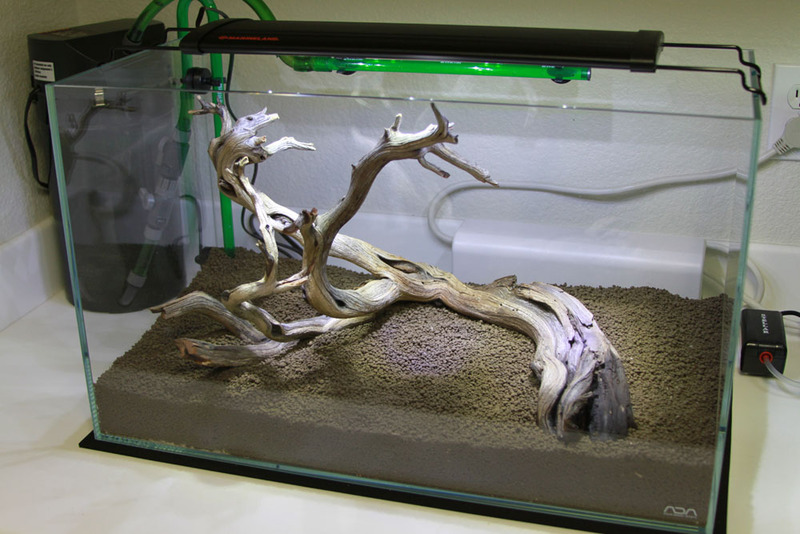 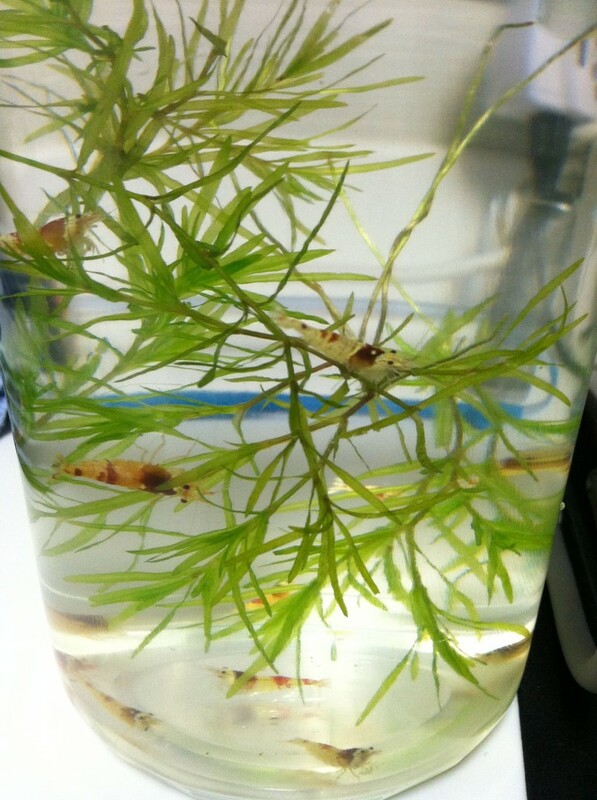 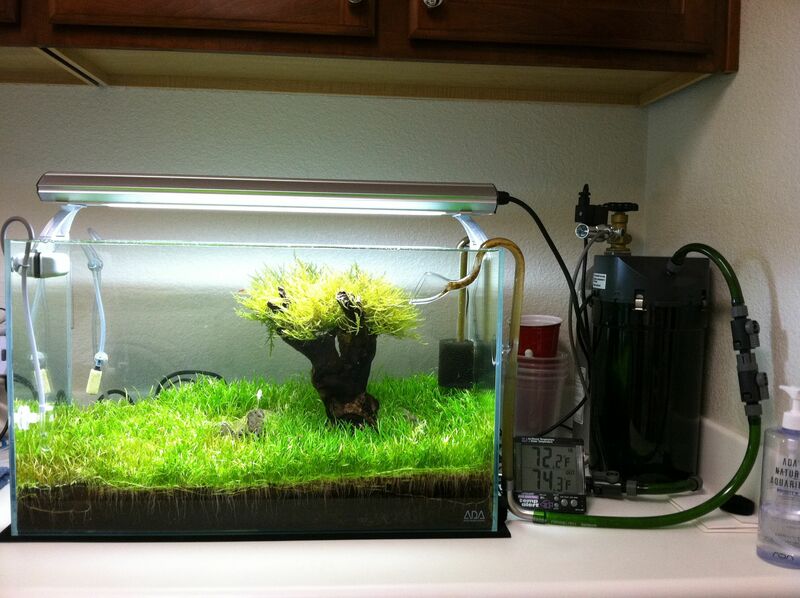 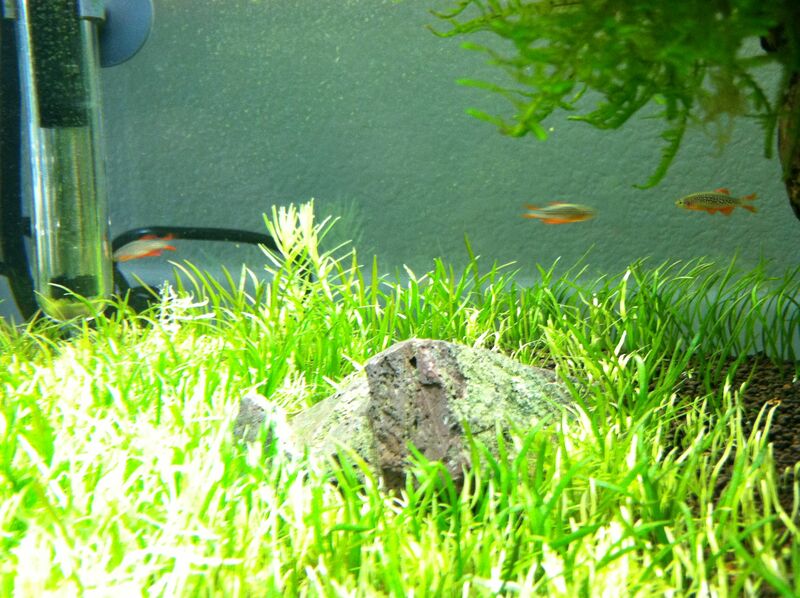 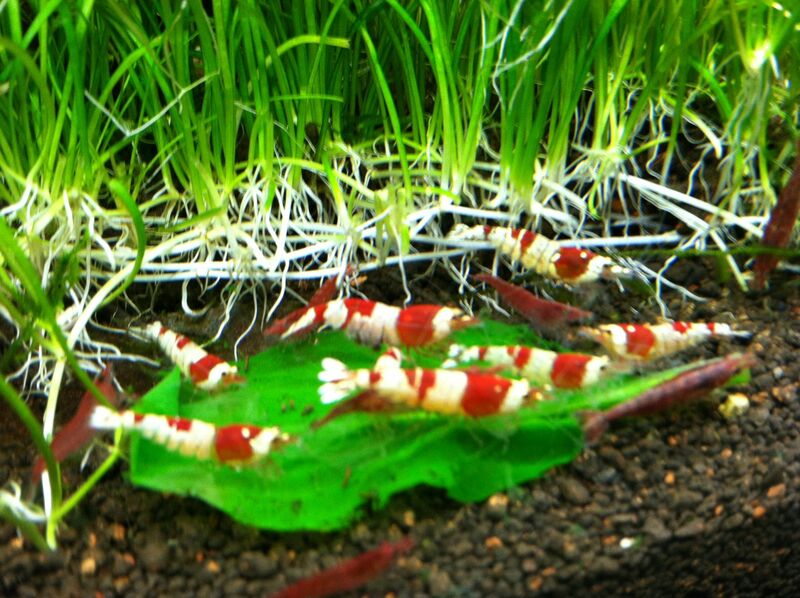 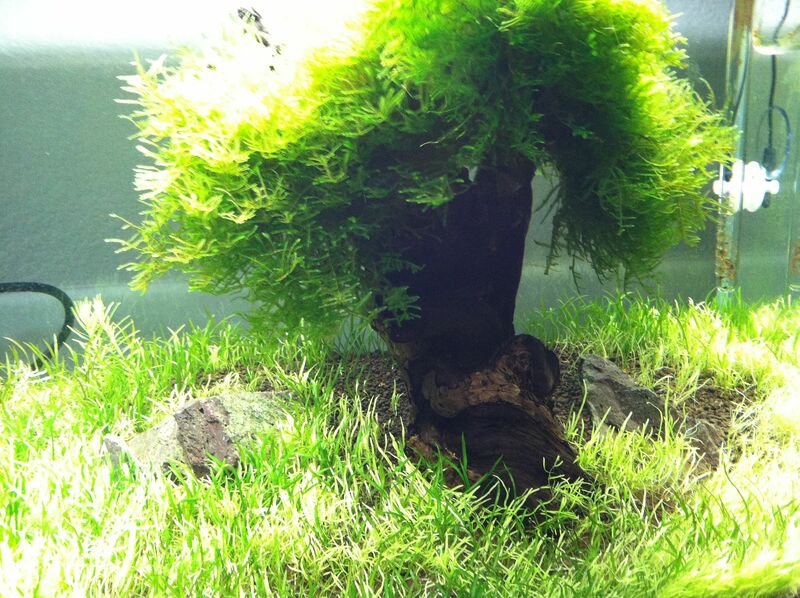 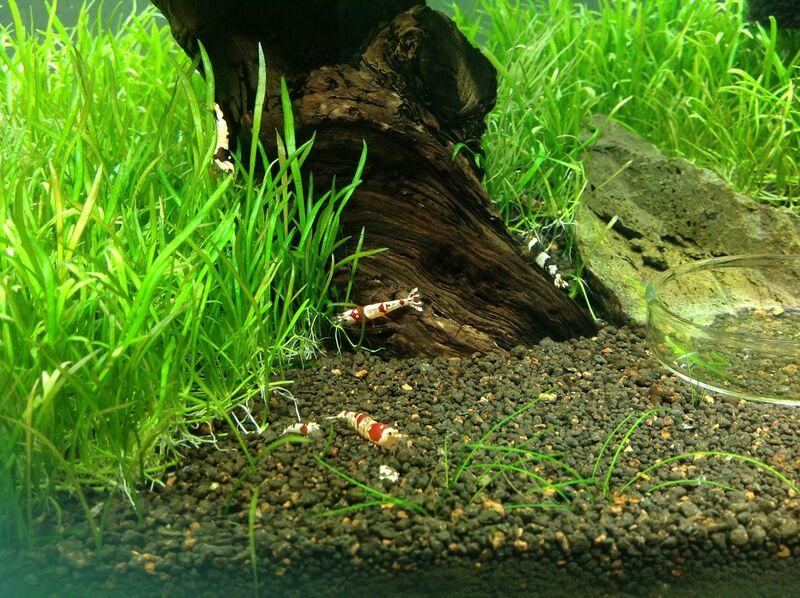 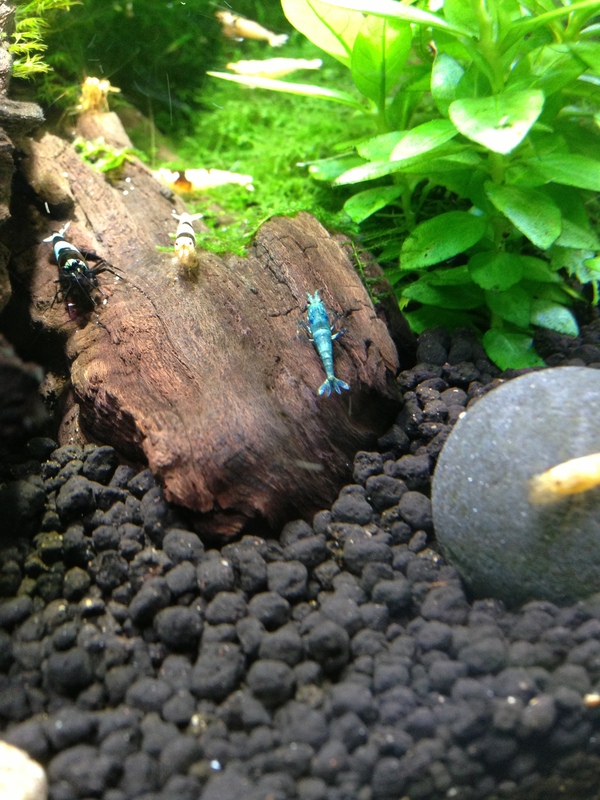 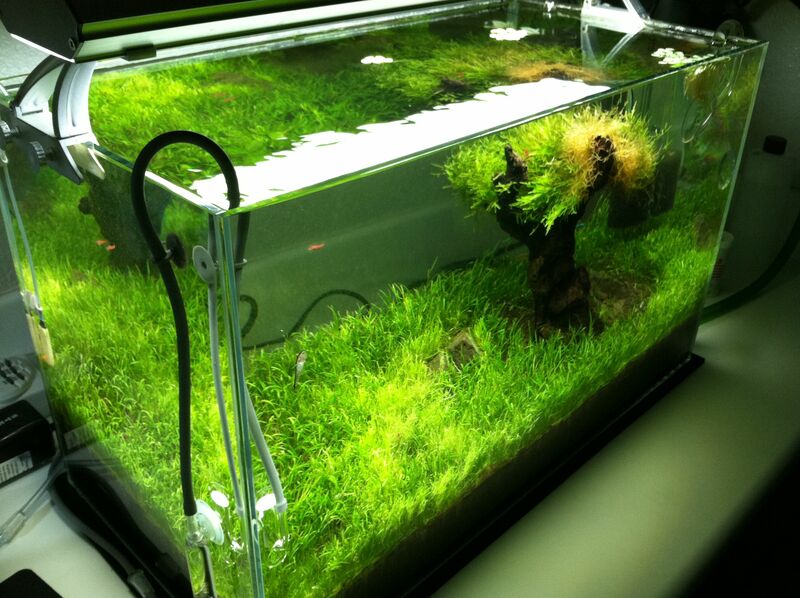 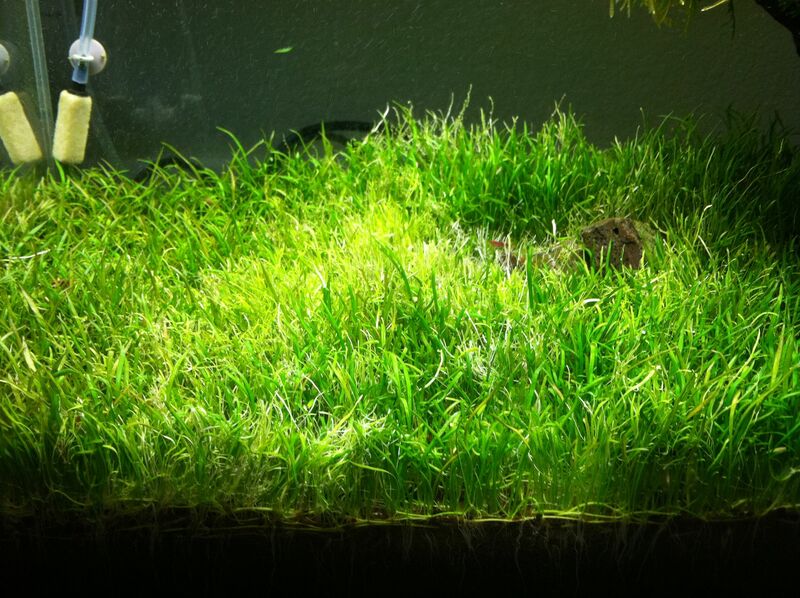 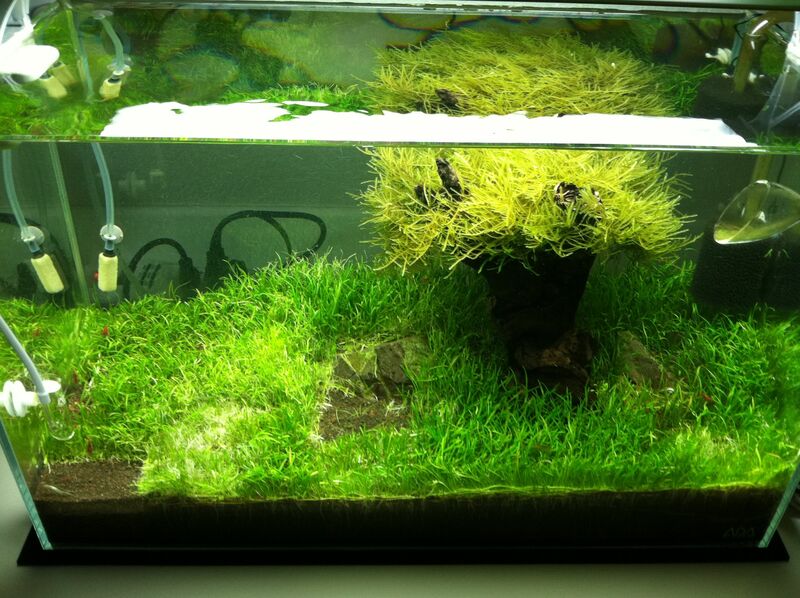 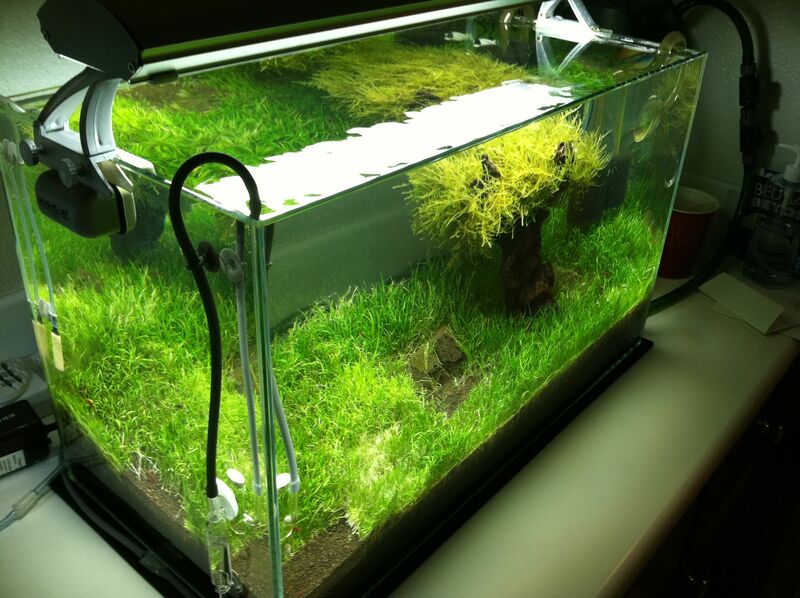 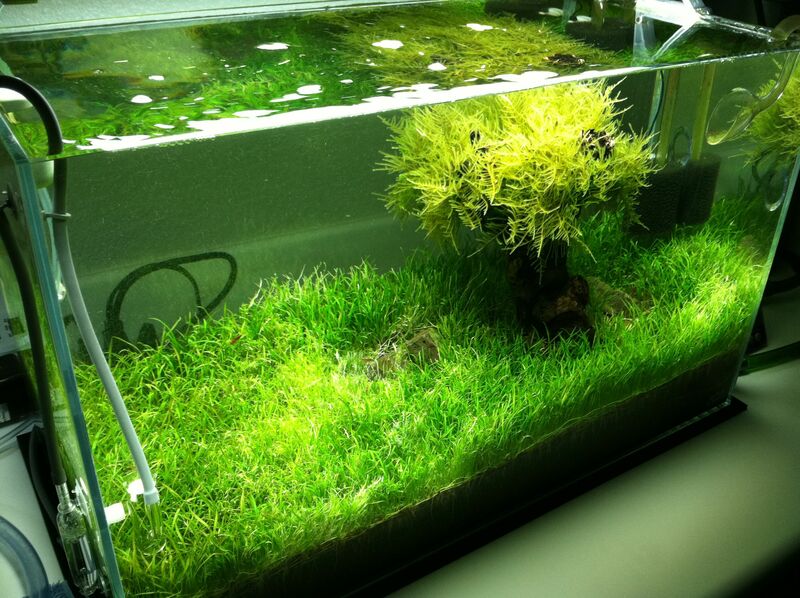 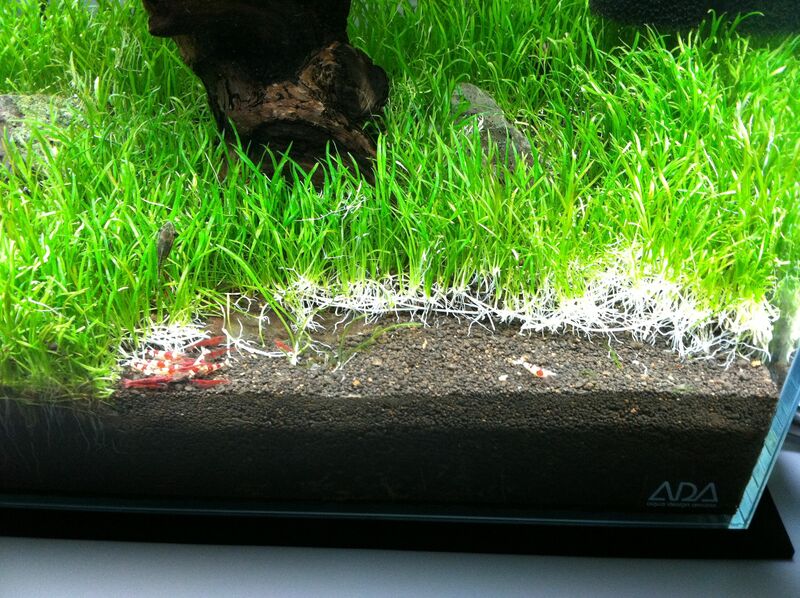 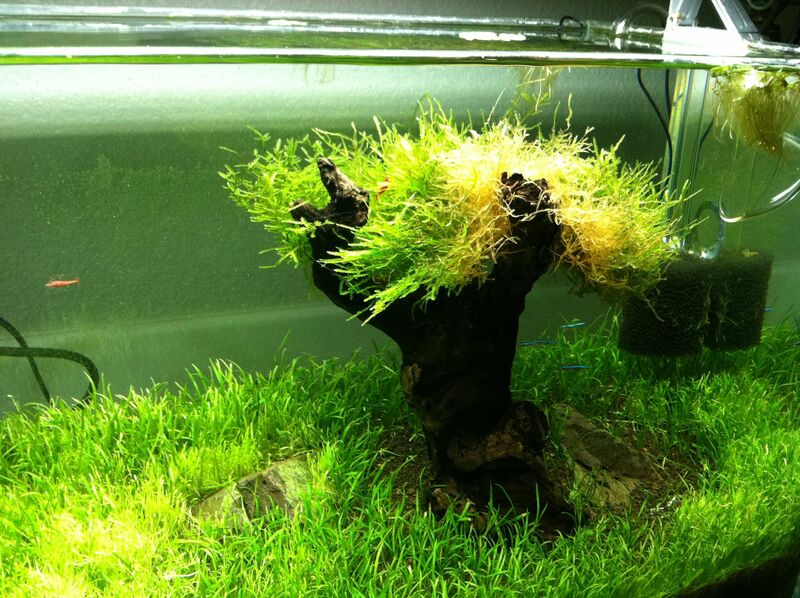 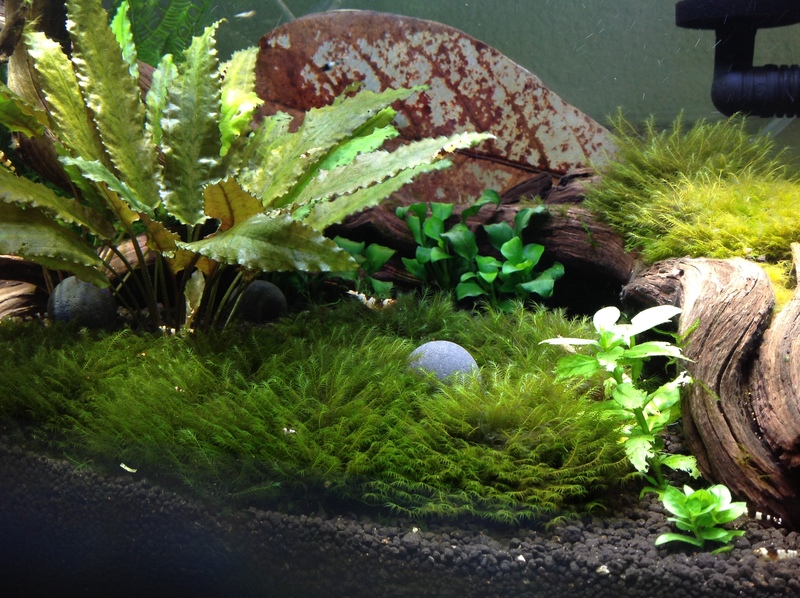 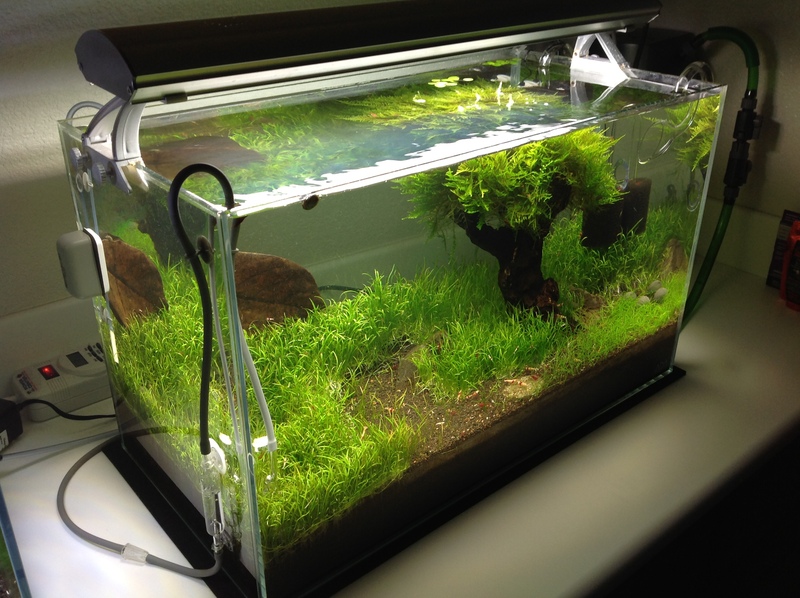 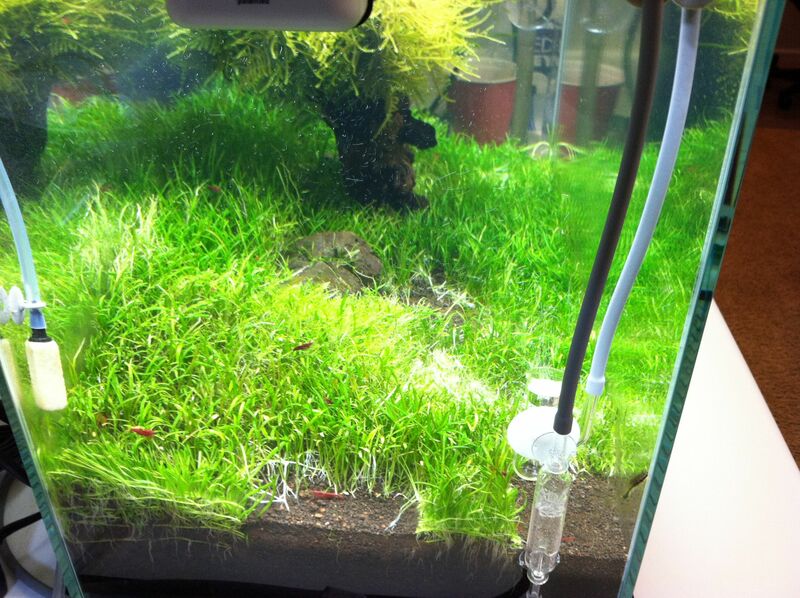 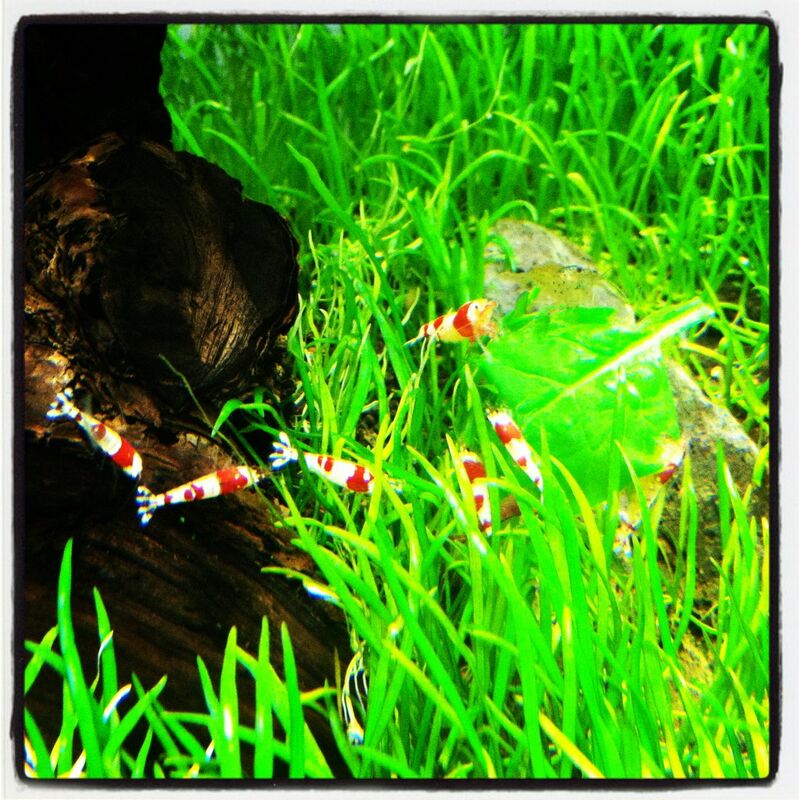 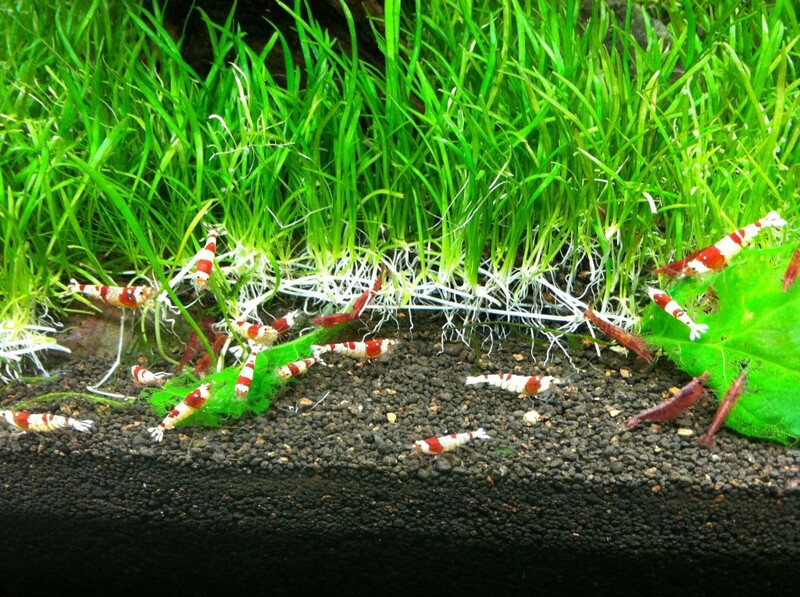 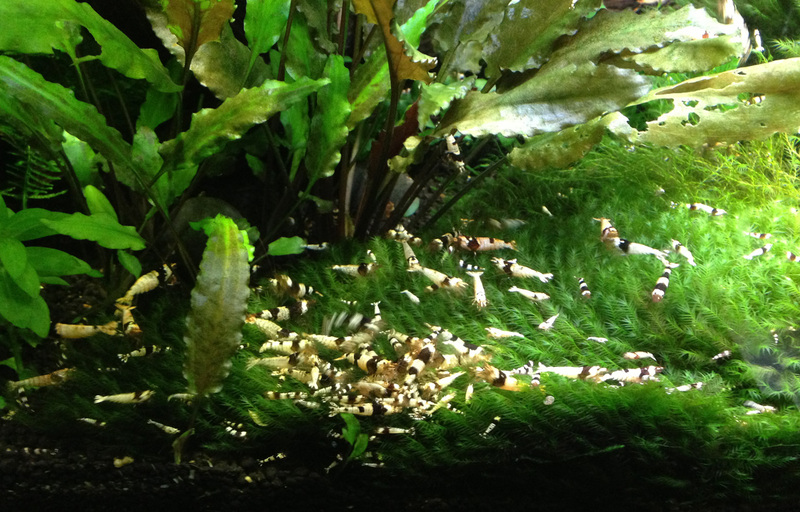 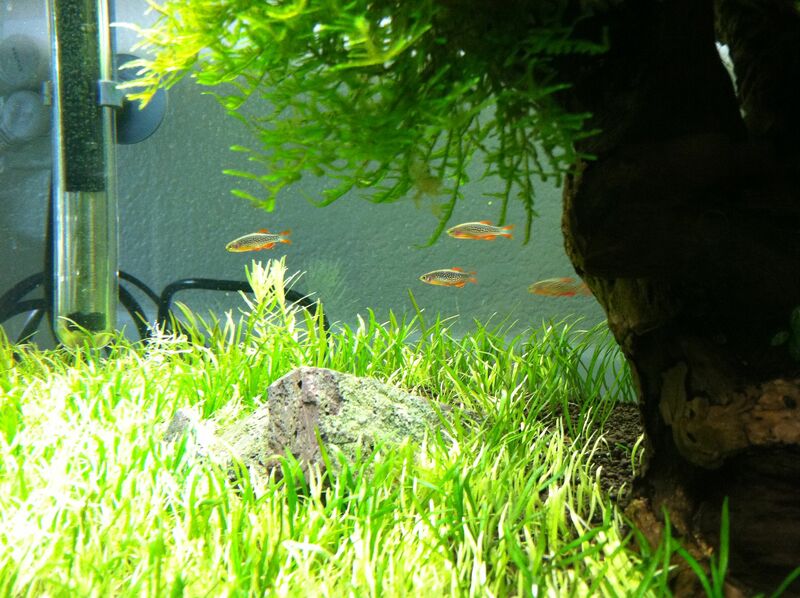 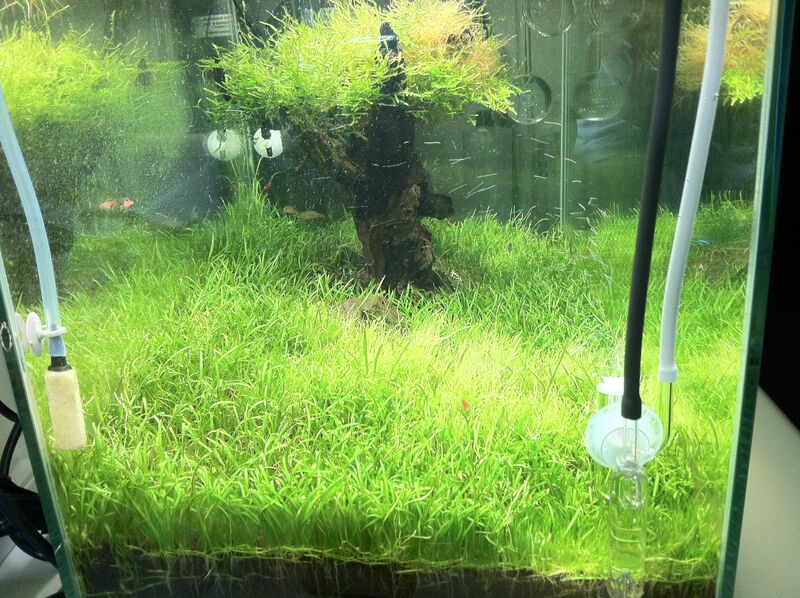 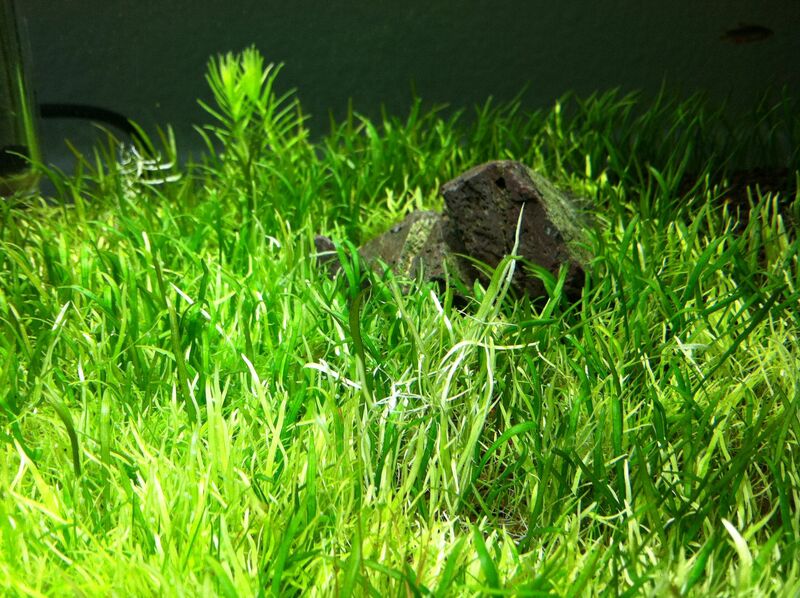 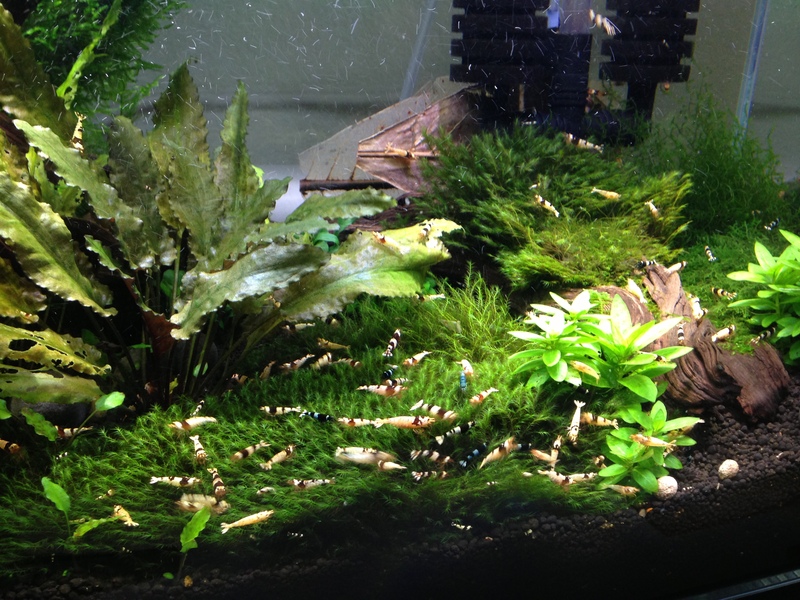 The CL person said that the CRS breeds very slowly in his tank but the shrimp looks decent. 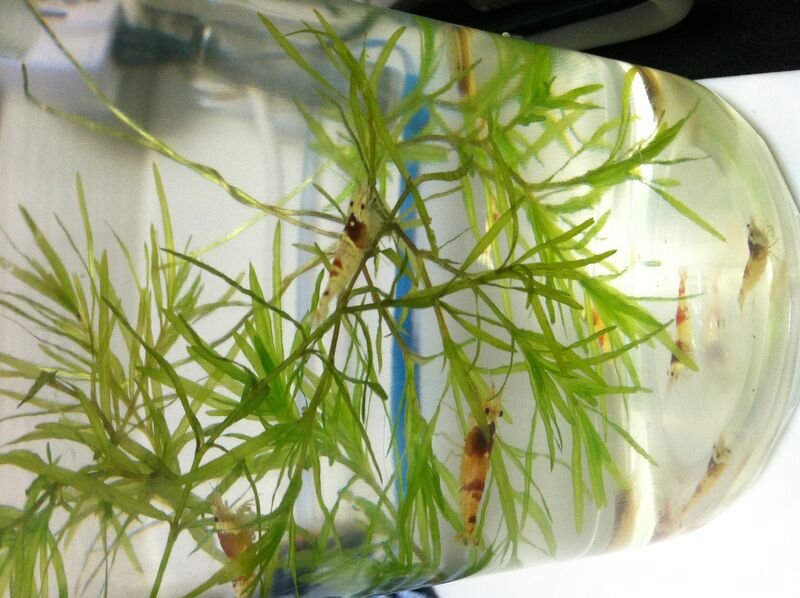 Anyways, I spend 2hrs acclimating them. 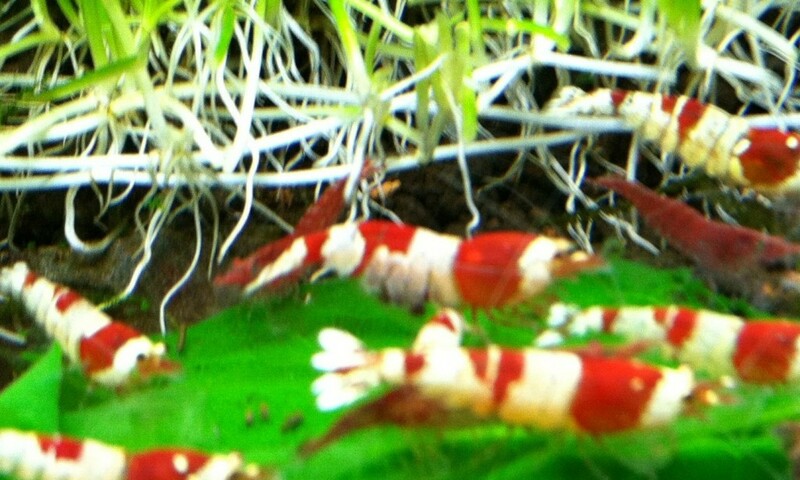 I think I’m done buying shrimp for now, at least not until I set up the new shrimp only tank. 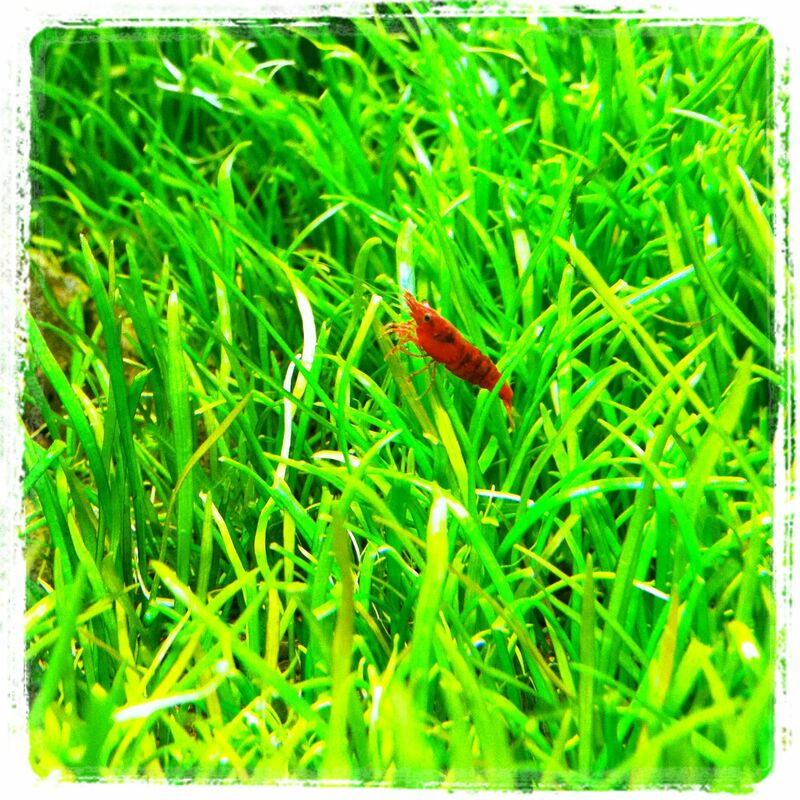 Last night I found one of my CRS berried!!! 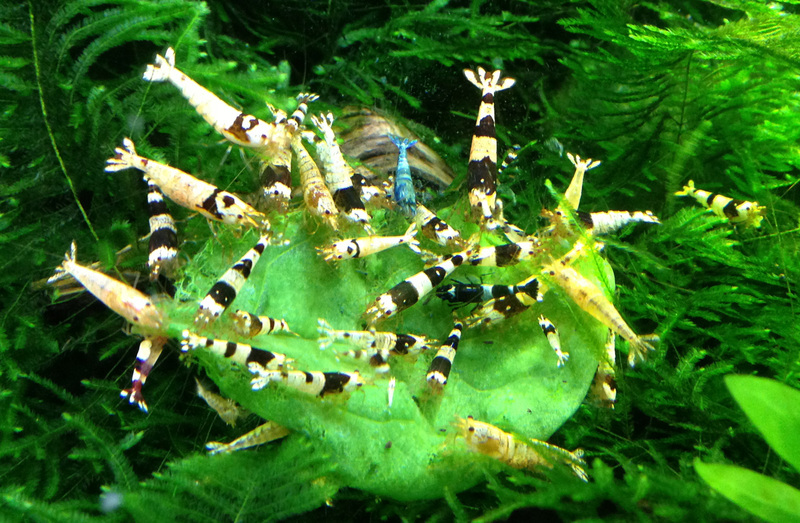 I was definitely jumping for joy! 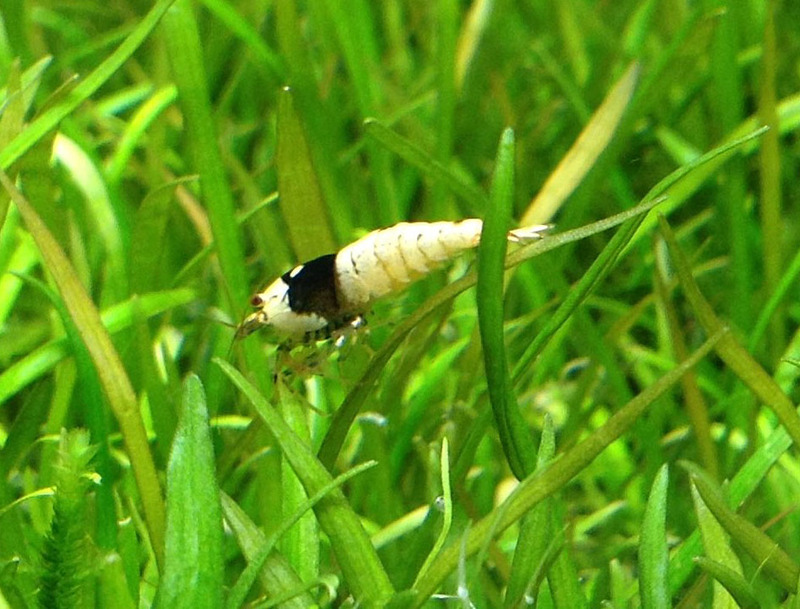 (my wife thinks i’m crazy) I wasn’t able to get a picture as she was hiding in the tree. 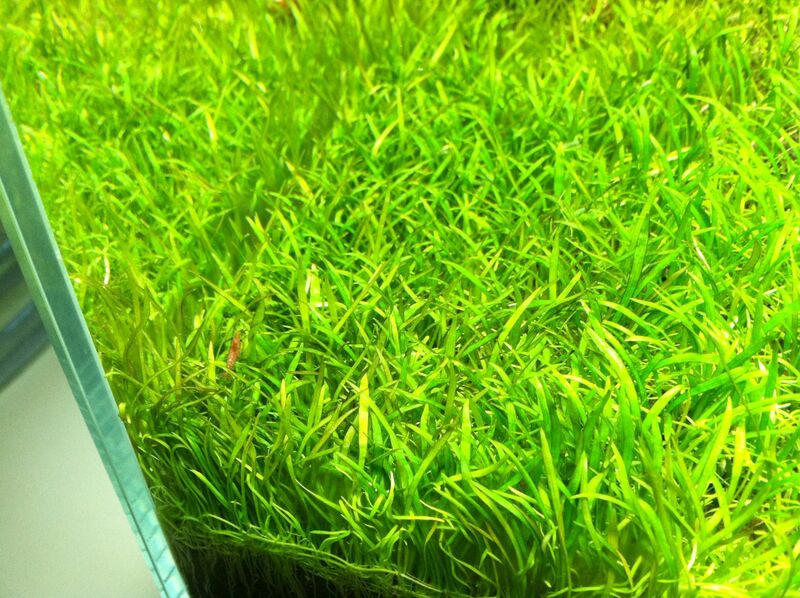 I also recently took out another patch of the grass. 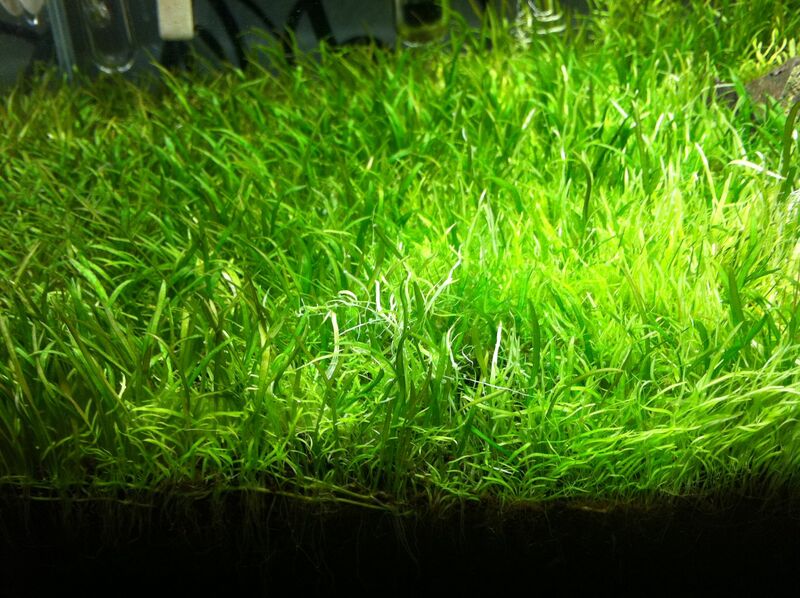 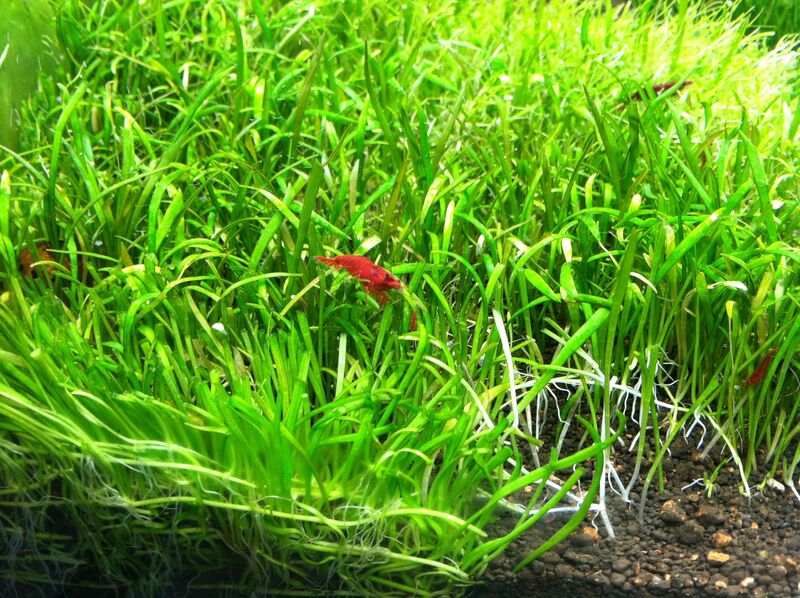 Part of it is to thin out the grass and another part is so I can put food there and watch the shrimp.